Provide comfort for the family of Rosalie Fontes with a meaningful gesture of sympathy. Rosalie Ann Fontes, of Greeley, passed away on January 16, 2019 in Greeley. 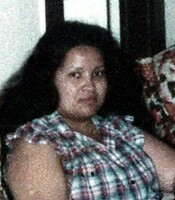 Rosalie was born in Greeley, to Jose Sedillos & Proni (Martinez) on January 11, 1956. On September 16, 1986, Rosalie married, Dolores Manuel Fontes. Marion (Raul) Navarro, Jose (Gloria) Sedillos. Rosalie’s viewing will be held 5 p.m. on January 23rd, 2019 at Northern Colorado Crematory. A Celebration of Life will be 10 a.m. on January 24th, 2019 at New Hope 1900 AA St, Greeley. To send flowers in memory of Rosalie Fontes, please visit our Heartfelt Sympathies Store. Provide comfort for the family of Rosalie Fontes by sending flowers. My deepest heartfelt sympathy to all the Sedillos Family. My name is Polly Ochoa, I had been close friends with Rose since we were 15 years old. We liked to dress in the same colors and sometimes bought dresses for Church, exactly alike. We rode bikes on Saturdays growing up and Rose never failed to make me laugh especially with the sound her laughter made. Sometimes I was allowed to spend the night which resulted in her Mother Proney, yelling at us to go to sleep which only sent us into louder laughter. As older Young people we were members of the Churches Sing team known as the JPs, Jesus People. Later as married Women we would cook together for our families, at my house. As of late, Rose was placed in the nursing home and I had moved to Pueblo. We never lost touch with one another..I still visited her with my lil dog.. but on the 16th of January I lost a dear friend but Heaven gained an Angel. My heart is heavy and I'll miss her texts and phone calls, but one day we will meet again. I know her Sisters are Christian and her Family too will see her again. Rest in Peace my precious friend.